The best dating profile will always be one that is built on honesty. Take a little time to write something about yourself and then let trusted friends read it over for tips on how to write a great first dating message. Your friends often know you better than you know yourself and can help to edit your profile so that it is honest and hits all of the important points. Your friends will make sure that you are highlighting your best qualities in the best way possible. Your friends can also give you insight on how others might perceive what you have included in your profile. Many experts also say that your online dating picture is the most important part of your profile. 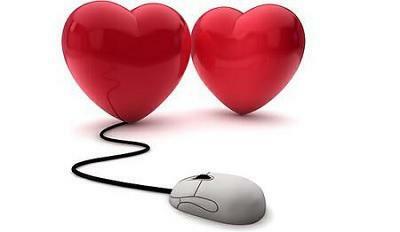 A top dating profile will have the perfect balance between fun and personal tidbits of information. Naturally, you do not want to get too personal because you want to be safe and save some mystery for the dates, but offering some personal information is an ideal way to allow lookers to determine if you two could click out in the real world. When it comes to offering personal information, talk about a few things you are really passionate about with a few details as to why. There is no need to write hundreds of words on this, but just enough to catch the interest of someone who happens to share your passion. This will spur them to contact you so that you can discuss your mutual interests further. When writing dating profiles, keep the tone enthusiastic without being overly eager. This is a fine line, of course, but one that the best dating profiles hit. Start by staying positive and avoiding going into any negative territory. People tend to respond best to people who have a positive attitude and exude happiness. As you are writing, avoid cliches and stick to how you speak in everyday life. This allows lookers to better see your personality and determine if your personality is one they would enjoy spending time with. On this same note, make sure that you are being yourself with every word so that you match up with the right people. If you know someone who has a successful dating profile, take a look and see what they are doing and saying on their profile. You can also ask them for some tips on what you could do to drum up some more interest. Successful profiles tend to be positive and honest, and have plenty of photos. When it comes to photos, choose shots that are in action and ones that really show your personality. For example, a photo of you doing something you love will always get more interest than a boring and professional headshot. Remember that you want to stand out from the rest and show who you truly are. Keeping it fun helps to ensure an interesting dating profile for those looking in Vancouver, Canada. Add in a few fun things you do regularly or have done, such as if you have gone ziplining or skydiving. These are fun and adventurous and tend to catch people’s attention even if they are not quite as adventurous as you. There is no need to overboard. You can also talk about a few fun and adventurous things you would like to do, but haven’t done yet. This can help you to connect with people who also want to do these things.